Some years ago, this dude called the Beyonder kidnapped a bunch of Earth's bravest heroes and most maniacal villains and took them to this place he made called Battle World and made 'em fight. Doesn't that sound awesome? 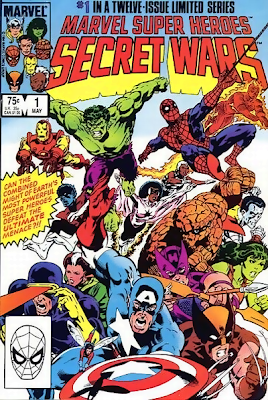 Well, if you answered the above question with "YES" then you don't want to miss out on the first HDCC meeting of 2008, when we'll be discussing Marvel's Secret Wars - a Dragon fan-favorite if there ever was one. We'll be getting together on January 3rd at the Villa around 7:30PM.